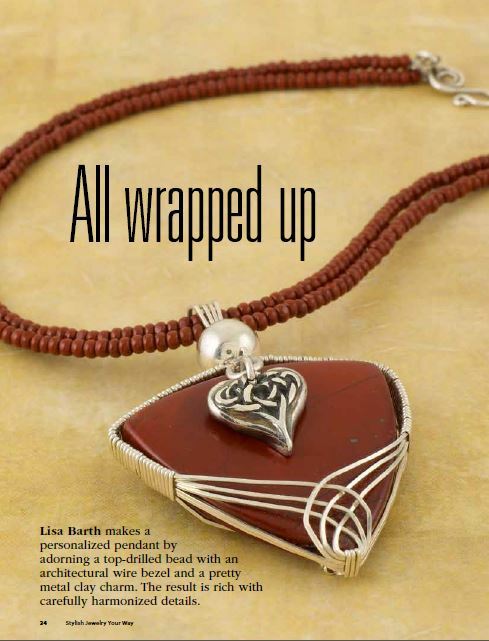 Jewelry making has got to be one of the most satisfying crafts out there. That's because even a beginner can come up with pretty strung designs straight off. But once hooked, there are so many other techniques to explore and learn. Some people stay with one technique because they like it so much. Others like me enjoy trying out new avenues - we are never bored! 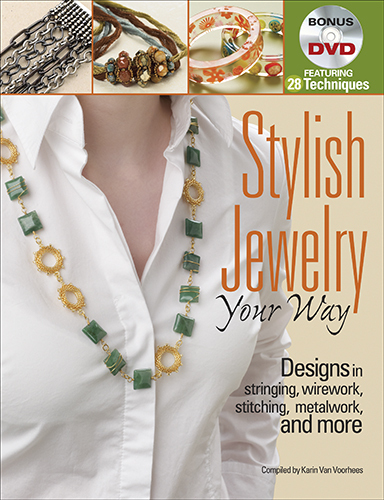 If you are the kind that loves to try many things, this new book, Stylish Jewelry Your Way might just be for you. 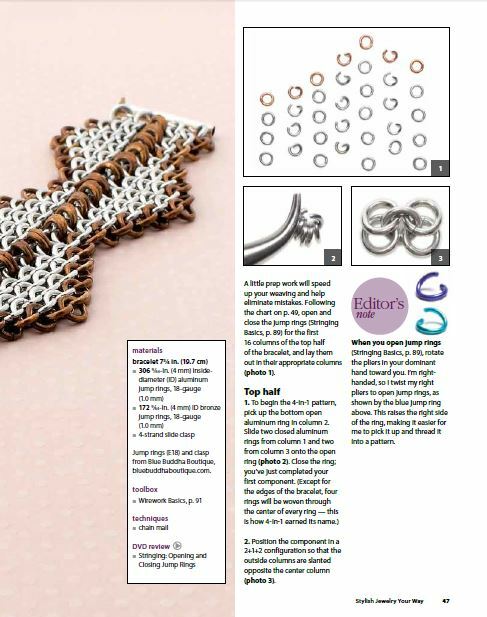 I received it for review from the publishers of Bead and Button magazine. 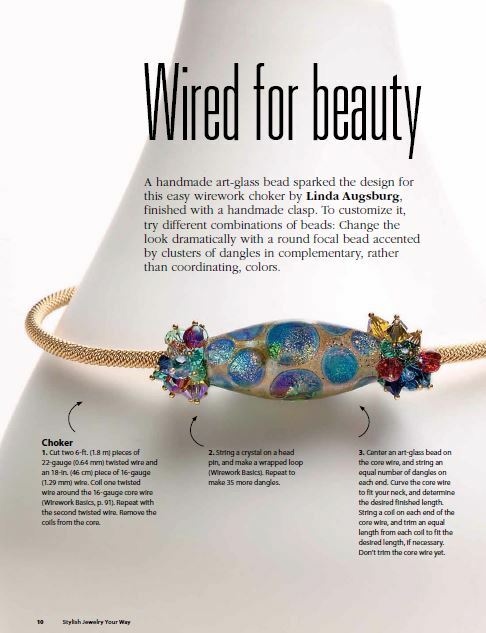 The 32 projects were complied from previous issues of not just Bead and Button but Bead Style and Beautiful Jewelry : Make Wear It. The projects cover many techniques but are grouped into 5 chapters : Romantic Allure, Tailored Classic, Urban Edge, Bohemian Beauty and Modern Art. 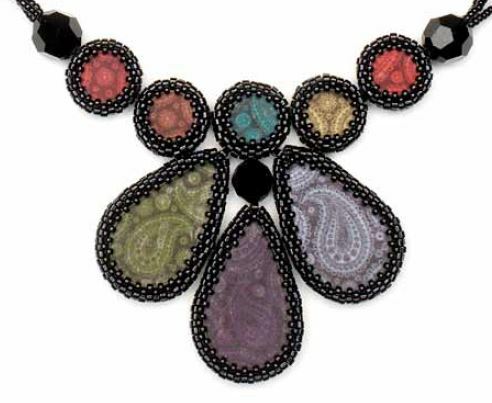 The techniques range from stringing, beadwork, chain maille, metal clay, polymer clay, resin, wire and metal work. 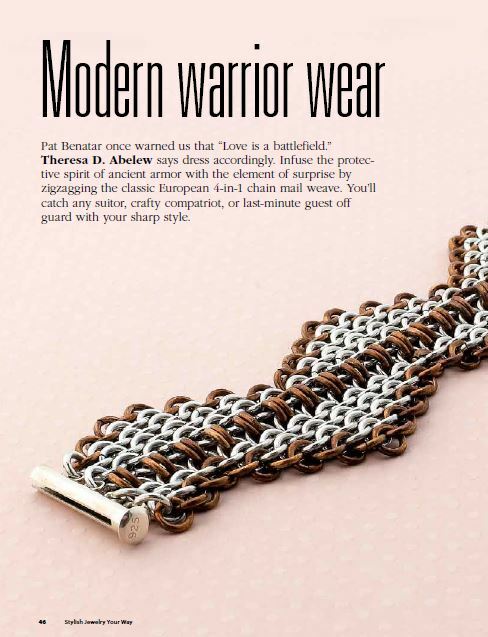 It is an eclectic collection but one that definitely strives for stylish looking designs. I found it unusual for a book to have such a wide range of techniques and skill levels. But even with the most basic of techniques like stringing, the chosen designs are lovely. The instructions are clear. 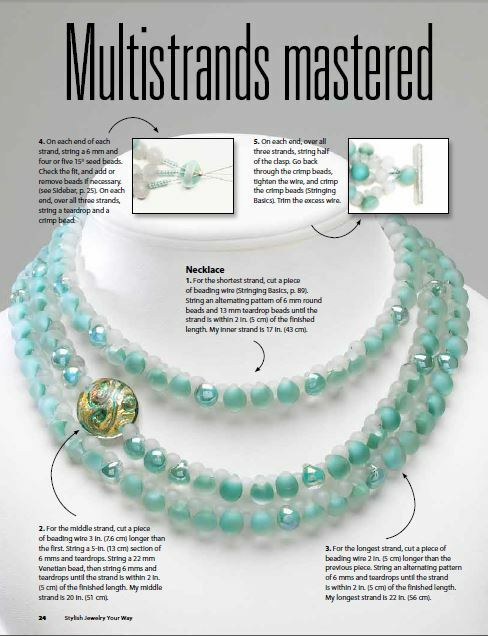 There were some unique beads like a stackable set of Lucite roses or Lucite art deco beads which might prove difficult to source but the general design ideas will still apply. 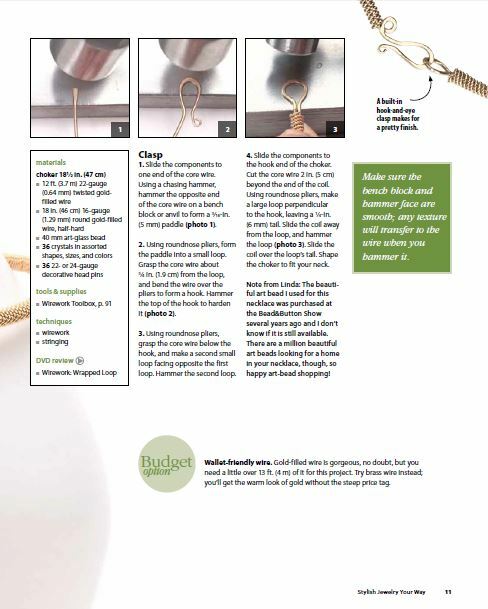 The book can also be a springboard for those wanting to move on to a new technique as the designs showcase all sorts of directions. 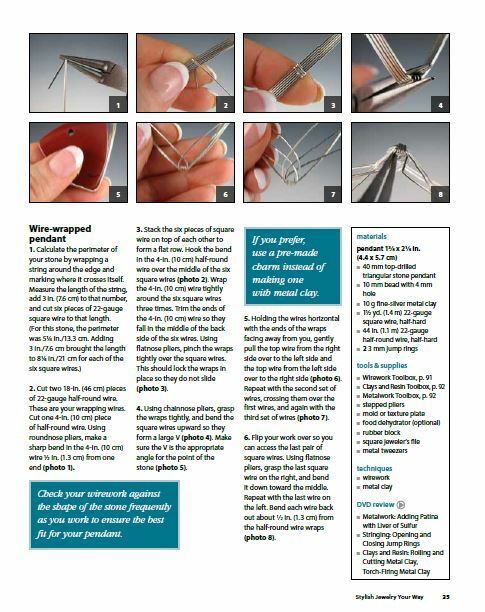 An experienced wire worker might want to branch off into bead work for example. What made this issue really useful is the inclusion of a bonus DVD. Some techniques are best demonstrated like how to fill a butane torch. The DVD has 28 of them. This book is not for specialists but for generalists who love getting inspired by new techniques.